Duplex sewage lift station with concrete surface. Control system for duplex sewage lift station. 20kW natural gas generator set with automatic transfer for duplex sewage lift station. Deep steel prefabricated lift station. Exterior of a duplex sewage lift station with space for a future third pump. Sewage lift station that houses two 30 HP 6″ submersible pumps. Control system for sewage lift station. Consists of a level controller, remote telemetry panel and automatic transfer switch all located inside the pad mounted traffic box. 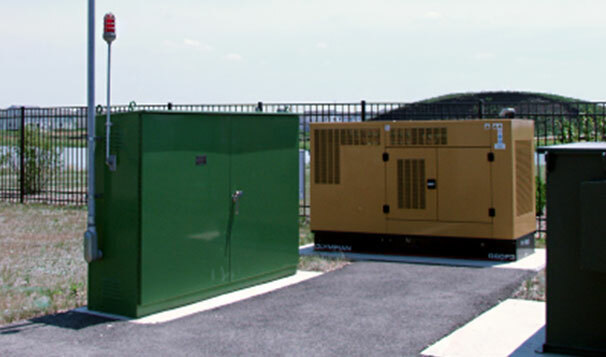 Enclosed is a 60kW natural gas generator set. Our complete sewage lift station and control solutions provide municipal managers and wastewater operators with streamlined capabilities that provide more effective sanitary water removal and management. In-house controls division allows for complete control and monitoring lift station integration. Our engineering credentials include prefabricated lift station manufacturing. Sewage lift stations are designed to effectively move wastewater from lower to higher elevation. Common components include pumps, guiderail systems, access hatches, piping and valves. 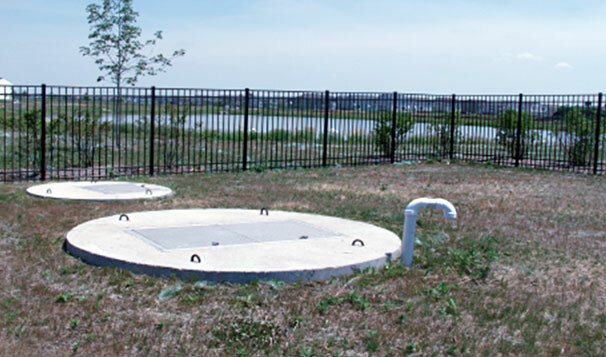 Our complete systems approach includes complete sewage lift station and control solutions, including complete packaged systems, that can be custom designed and engineered to meet the unique needs of each application. Our history in supplying sanitary water removal equipment has allowed us to provide pumps ranging from a few gallons per minute to several hundred thousand gallons per minute. 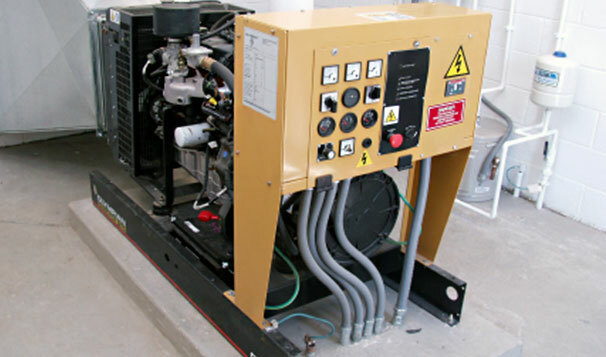 We provide all of the equipment desired to complete full packaged systems. Above ground solutions may also be provided in certain circumstances to meet the specific needs that may be unique to a particular installation. We take a single source approach to deliver the very best lift station solution designed to provide reliable operation at peak performance. 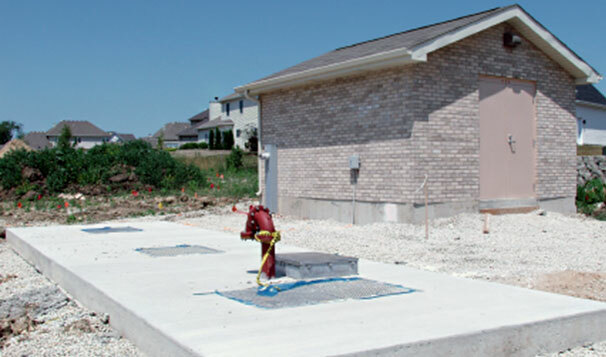 Learn more about our Stormwater Lift Station capabilities. We also excel in the ability to prefabricate entire stations, such as the MetroRail Prefabricated Lift Station (available in stainless steel, epoxy coated steel and fiberglass), to ensure field installation is simplified. This also allows us to hold much tighter tolerances in the shop to certify systems are dimensionally correct and all piping is level and/or plumb. 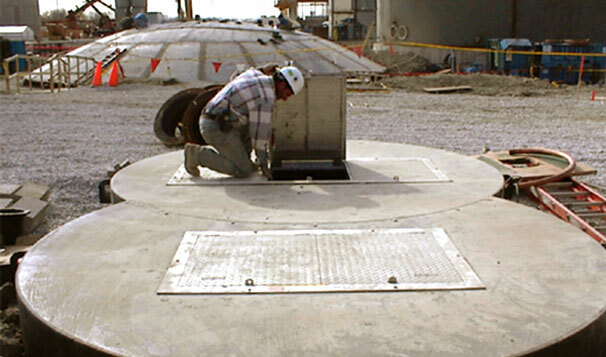 We can fabricate stations using a variety of materials to abide by project needs and specifications. By trading field labor for shop labor, customers benefit from an expedited and simplistic installation, with more exacting tolerances that will service the end user for years. 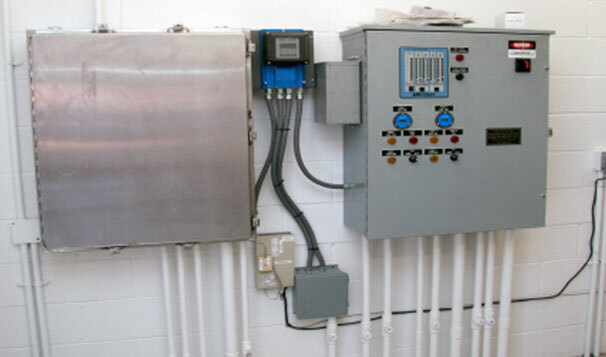 Metropolitan’s in-house controls division manufactures complete control solutions for sewage lift stations. We develop U.L. 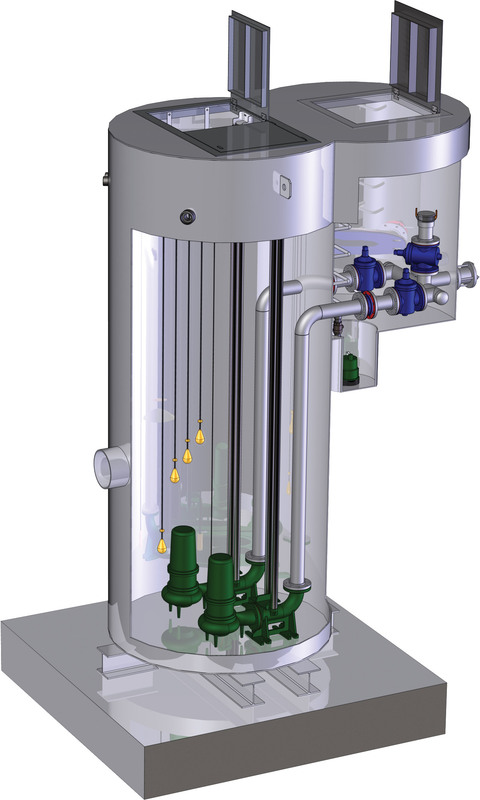 rated process controls to meet the needs of our individual end-users when it comes to providing the most efficient control capabilities. Our control panel design and manufacturing capabilities include relay logic, programmable logic controllers, several control schemes, a variety of enclosure types and power distribution equipment. Our control panels can also be integrated with a variety of monitoring system options, including our own SCADA monitoring systems, which includes both the cloud-based MetroCloud in addition to traditional SCADA options. 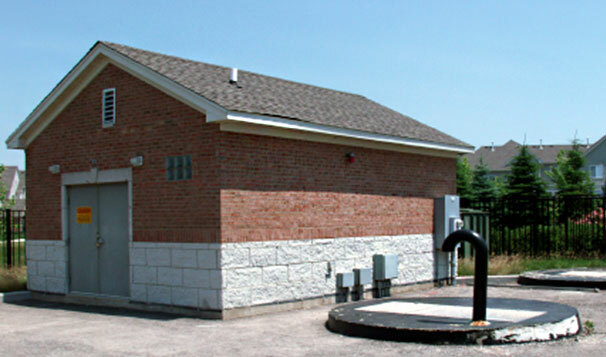 Interested in learning more about Metropolitan’s Sewage Lift Stations? We’d love to learn more about your project! Getting in touch with our team of sewage water management experts is just one click away.